If you want to bring in 5777 in style, there is a very special champagne with which to do it - Champagne Barons de Rothschild. 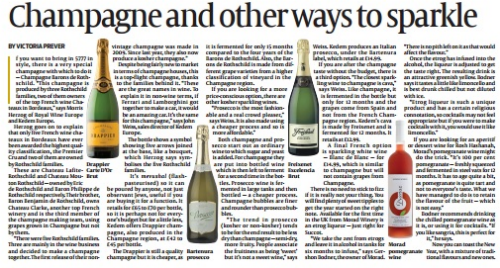 "This champagne is produced by three Rothschild families, two of them owners of the top French wine Chateaux in Bordeaux," says Morris Herzog of Royal Wine Europe and Kedem Europe. Herzog goes on to explain that only five French wine chateaux in Bordeaux have ever been awarded the highest quality classification, the Premier Cru and two of them are owned by Rothschild families.